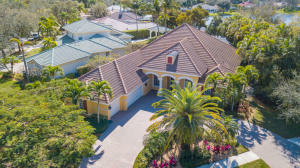 Cypress Cove is a gated residential community located in Jupiter, Palm Beach County, Florida. Cypress Cove is comprised of 79 estate homes. Homes in Cypress Cove range from three to five bedroom floor plans, with large square footage, high ceilings, crown molding, upgraded flooring, gourmet kitchens, stainless steel appliances, wood cabinetry, granite counters, walk in closets, heated swimming pools, spas, and patios. Cypress Cove is tucked away, offering peace and tranquility to its residents, while they can travel just a few minutes to reach shops, dining, parks, beaches, theaters, schools, and various entertainment venues. 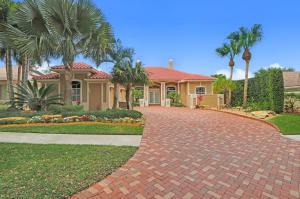 Cypress Cove in Jupiter is really a wonderful location. The Jupiter location is amazing. But, if this isn't the community for you, you might like one of the other local communities like Carmel Landing or Jupiter Plantation or Osceola Woods that are located here as well.